Creating beautiful floral arrangements using both seasonal and local flowers is our passion. We go to great lengths to personally select every flower that goes into our signature designs. Our flowers are sourced directly from the Boston Flower Exchange, local flower farmers, and our own cutting gardens — to bring sophistication and quality to every floral arrangement you purchase. Starting when we were a retail flower shop on Main Street to this day as a private studio, our customers continue to enjoy our high quality floral delivery services. Our services work a little differently than a florist --- If you would like to learn more then please give us a call at (603) 444-7600 or read about our services & terms. Cut flowers artfully wrapped in paper wrapping perfect for the person who loves to design with flowers. Does not come with a vase. 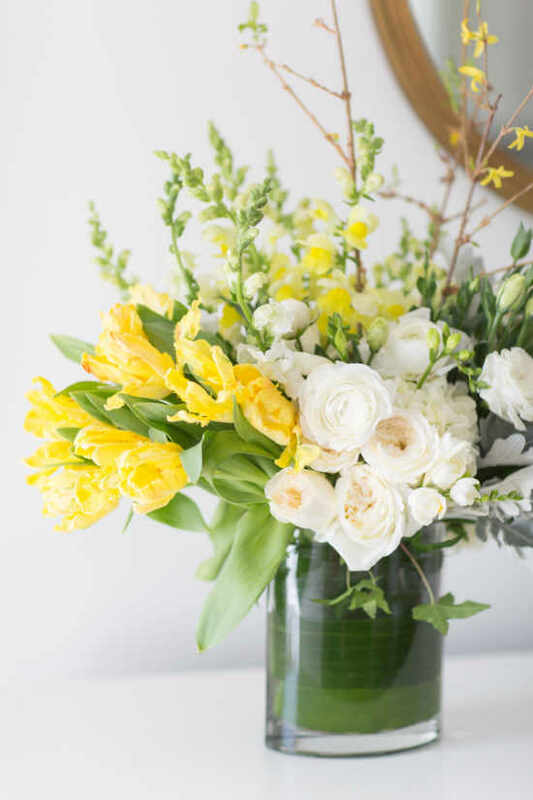 Mix garden inspired flower arrangement using local cut flowers as available in clear glass vase or specialty wood or ceramic (based on availability). Our specialty baskets can be custom ordered for any theme you like. We are happy to include champagne, and easily can modify the gifts for specific dietary needs (i.e. gluten free). 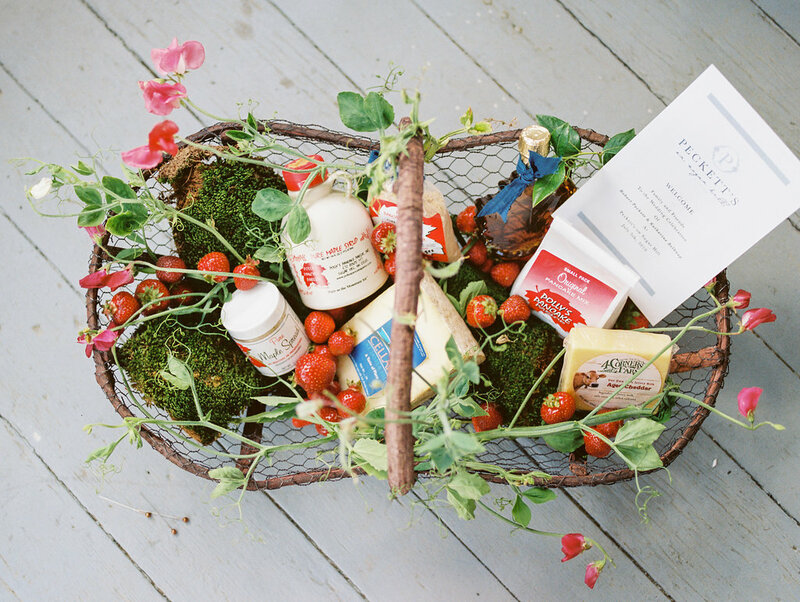 Specialty baskets come with flowers and are displayed in a beautiful wooden crate or basket. Request a flower delivery from Emily's studio. Please fill out the form with your request and we will get back to you as soon as we can. If you need to hear from us sooner, please call the studio at (603) 444-7600. Thank you! What Kind Of Custom Arrangement? Are You Interested in a Delivery Subscription?